In an effort to re-invigorate my sculpting work I picked up this ebook the other day. It has just been released and I am really glad I spotted it. 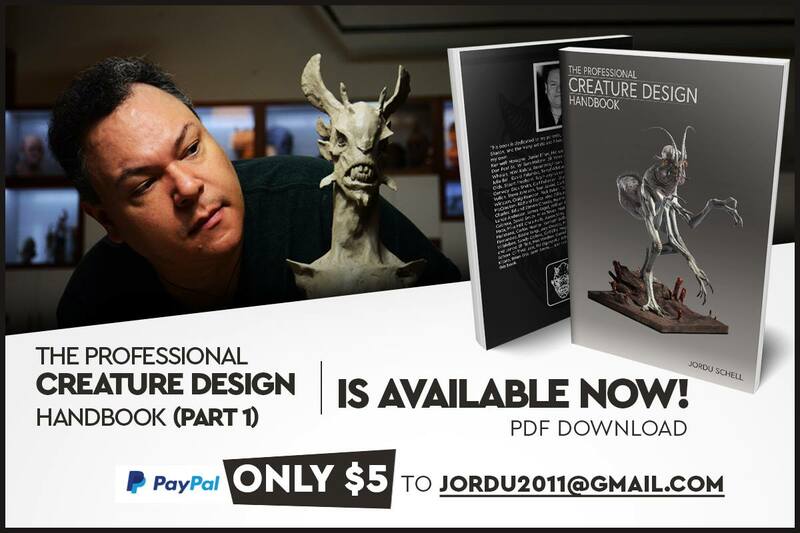 The focus of the book is on creature design for the film industry, however, after having a quick scan through it, it will prove invaluable to anyone who plans to design fantasy, alien or supernatural creatures, whether they be for film, illustration, kit collectors/painters, or the wargaming table. Jordu Schell has worked on a huge list of movies over the years ranging from Avatar and Hellboy through AvP: Requiem and Evolution to Babylon 5, Batman Returns and Alien: Resurrection. He has amassed a great deal of experience in designing and sculpting fantastic creatures. 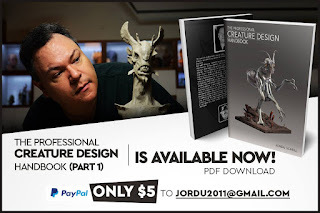 This book is the first instalment in a series (as the "Part One" in the title suggests) of ebooks that will eventually cover every aspect of creature design. It gives a little bit of insight into the author's career and motivations that drove him into creature design before going on to go over some basics of the design process. What works and what doesn't, where to draw inspiration (no secrets there, it is mainly Nature), and then gives some examples of good movie creatures. As the first part of a series, this is an excellent beginning. Well worth the $5. 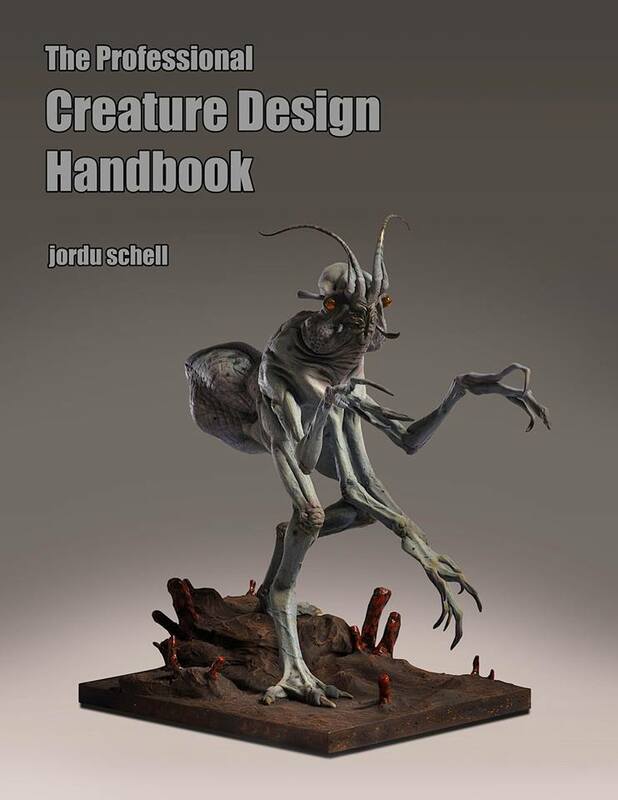 I would highly recommend it to anyone interested in creature design. To order the book you will need to PayPal $5 to jordu2011@gmail.com. I received the download link within a few hours, although I believe he has been rather swamped, so it may take a little longer to receive it. By the Way, the book also touches on choosing colour schemes for the creatures. This may not have any relevance for sculptors but it is quite useful for miniatures painters as the theories involved are spot on! I got mine too. Jordu is so great! He inspires me!